Hi there! You've found Click Click or have Click Click found you? Either way, we're glad you did. Who we are you might ask. 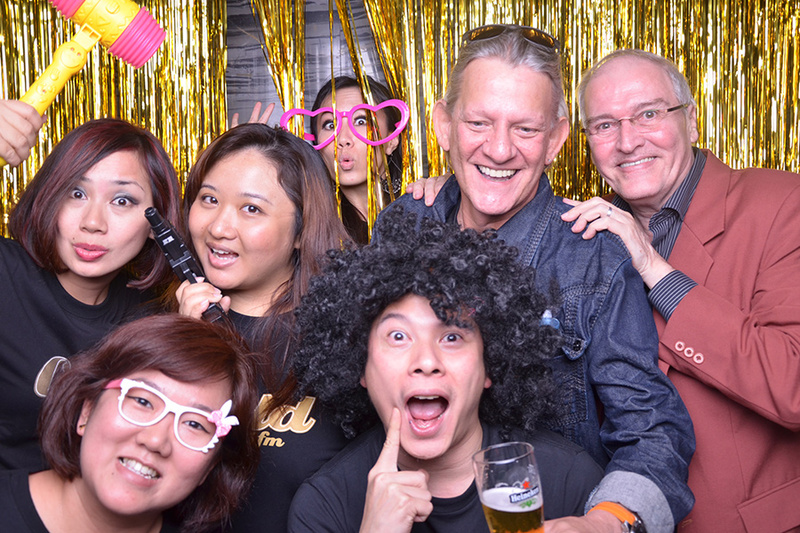 We're a bunch of crazy people who run one of Singapore's Hottest Photo Booth. Ladies, touch up your make up! Men, check your teeth! Pick your favourite Props! Or don't pick any. We don't care. Bask in our sumptuous lighting! Look AWESOME in front of the camera or go wild! It's not a competition, we don't judge. Click goes our camera, Boom goes our flash Awesome Photo appears on screen, check if you look fat No? Great! Yes? HAHA Too bad :P (we start from the top) Recieve your printed photo in an instant. Hey you... Yes the one reading this now Click the Portfolio or the Video button to check out our victims..Erm.. I mean AWESOME people whom we had to fortune to work with. OMG!!! WHAT?!! Click Click is LEGEN... wait for it~ DARY! We answer to no one... Unless its you! :P Well since you don't know how AWESOME we are, here are some questions we thought you might ask. A Lot!!!! Our record is 21 :D Let's see you beat it. We've got loads! Bring more if you want. SAVE THE EARTH by using our green screen technology and have any digital design super-imposed into the background, or simply choose from our collection of physical backdrops or one customised specially for you. How long does it take to print a photo? Can I find my pictures online? Can the photo photo printout be customised? It can be customised in any manner that you like. I've seen alot of photo booths. This is by far the BEST and the Fastest photo booth i have experienced. Keep up the good work! See you at the next event. Hey Click Click Photo Booth, you guys are AWEsome! All my friends have been talking about how fun you guys were! I'll definitely keep you in mind for my next party! Thank you for the photo booth experience yesterday. Our guests and staffs enjoyed themselves very much at your booth. Do keep in touch and we will contact you very shortly for future collaboration. Thank You ! Your email has been delivered. We strive to reply all enquiries within 8 hours.